Two oil giants that had previously exited Nigeria’s downstream sector, Shell and ExxonMobil, could sign crude-for-product deals with Africa’s largest oil producer, a senior NNPC official said. 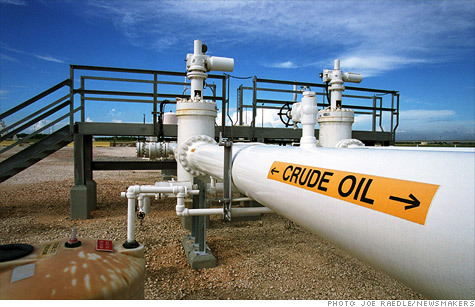 “Unfortunately, Shell and ExxonMobil exited the downstream sector in Nigeria a couple of years ago but they are coming back for this particular arrangement, because it’s an opportunity for them to get crude and sell their products to the refineries,” the Nigerian National Petroleum Corporation, NNPC, Chief Operating Officer for upstream, Bello Rabiu, told journalists at the African oil and gas conference in Cape Town, on Monday. NNPC imports nearly 70% of the West African petroleum needs through swap contracts and has direct sale direct purchase agreements with 10 consortiums including Total, Mercuria, Vitol and Trafigura. It will be recalled that last Wednesday, the state oil firm announced that it had signed such a deal with BP and would provide more details later, even as it extended the existing contracts to June 2019. Rabiu said NNPC hoped, in 2019, to emulate savings of around $1 billion seen in 2016 with its crude-for-product swaps, which he said would likely end once Africa’s top crude producer revamps its refineries, Reuters reported. APC crisis: Buhari meets Amosun, Akeredolu, Fayemi “If our refineries are back, which we want in the next 18 months, this thing will stop. So, all these things are just stop-gap measures, but the key issue is that we wanted to import at the least cost before our refineries come back onstream,” Rabiu told reporters. Additionally, the Chief Operating Officer said the corporation is in the final stages of talks with consortiums including top traders, energy majors, and oil services companies to revamp its long-neglected oil refineries in an effort to reduce its reliance on imported fuel, according to report by Reuters.